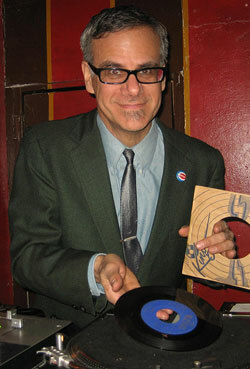 The WHAM-O WATUSI takes great pride in featuring DJs and/or records from all over the world. 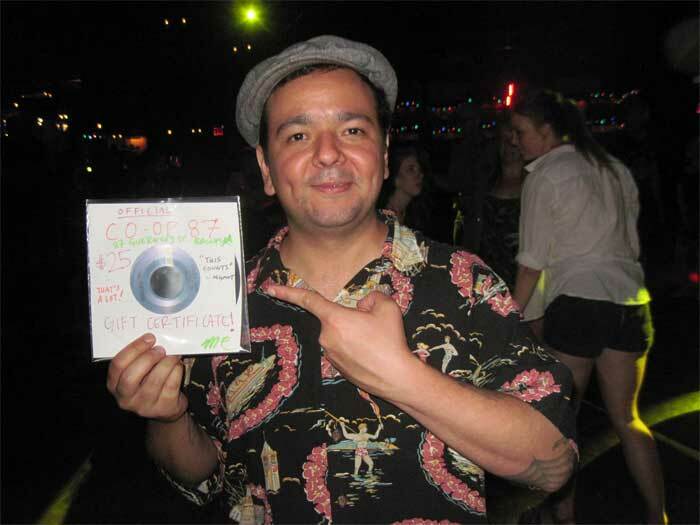 So far, this year alone, The WHAM has had DJs from Mexico, El Salvador, Canada, Venezuela, the Netherlands and even Cleveland; host Phast Phreddie the Boogaloo Omnibus often spins records from such far away places as France and Japan; plus there was a guy who played some rockin’ jams from Thailand! Truly, it is an international affair. On Saturday September 2, two more DJs were flown in from Mexico City to DJ at the Bootleg Bar in Bushwick for the WHAM-O WATUSI: Carlos René and Elisse Locomotion. They host a fabulous DJ night called Hipshakers and they own a cool record store called Dedos Susios. They were recommended by our pal DJ Rata and they did not disappoint. All night long, these two master disc selectors played some of the bossest records the Boogaloo Bag writers have ever heard; many of them from way south of the border that nobody in this city will ever hear again! They had just come from Montreal, where Señora Locomotion picked up some very cool French Canadian records and proceeded to spin them. Señor René has spent time in Peru and Colombia and he played some incredible records from there. Unfortunately, the Boogaloo Bag writers finked-out by leaving the official Boogaloo Bag camera at home, thus there are so few good photos of the night available. The one shown above was taken by our pal Reyes Rodriguez (whose own Border Beat night happens on the fourth Saturday of the month at the Bootleg Bar) who showed up to swing for a while. Also in attendance was the lovely Lilly Martini, who is moving back to Spain in a couple of days. Sorry to see her go, as it was always a delight to see her dancing at the Boot. Although the rain fell pretty hard all night, there were still plenty of people in the Bootleg Bar to make it fun. Plus, Nancy “Jeannie” Gardner baked some cinnamon-infused fudge. Man, that was good. With the rain keeping attendance down somewhat, there were plenty for everybody who was there! Yummy!! None of these records are for sale. Some of them have links to youtube clips. Dig it! !